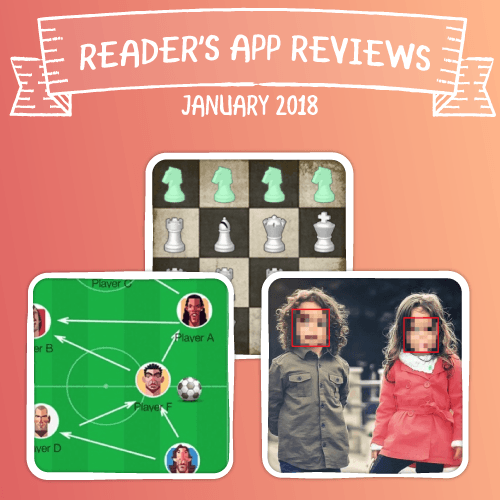 Check out some apps released by fellow readers this January, including an app to help with planning, a calculator for your investments, and much more! Happy New Years to the raywenderlich.com readers! We have received some awesome apps from you this month. Its the perfect start to the year, let’s check them out. If you have trouble scheduling your weeks or forgetting plans, then Due Life is here to help you out! 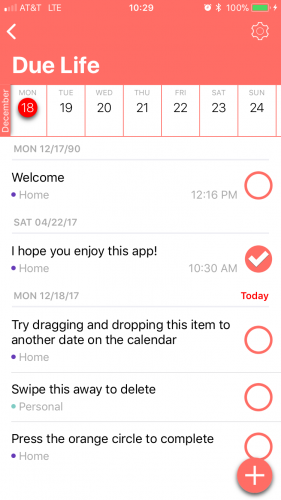 Due Life is a combination of a checklist app and a calender app. It allows you to make tasks with a title, due date, due time, and notfication option. You can also add extra notes to eack task if you need to be a bit more precise in the task description. Then, you can add the task to different lists so that you are able to keep them all organized. Once you have composed your tasks for the week, you can tap and drag them to the calender at the top of the screen to mark them in the app. The app will notify you of when the task needs to be done! Due Life is a much needed app for people who want to be more organized. If you are one of those people, give it a download. If you are an investor and like to buy and sell stocks, then the Dividend Calc will soon become one of your favorite apps. The Dividend Calc allows you to input the amount of shares you have for each stock and it will provide you will how much annual dividend returns you are expected to recieve from all of your stocks. It also show other dividend information such as quarterly returns, number of shares, targeted amount of shares, etc. 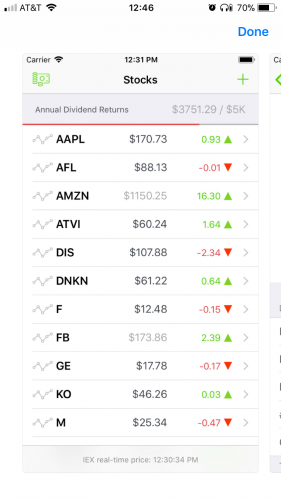 The app shows extra information about the stock itself so that you can view everything about that stock without leaving the app. Finally, you can set your target annual dividend amount and watch as you get closer to achieving your goals. The Dividend Calc is an awesome app, you should download it and try it out! Do you give you kids an allowance but cannot seem to remember what you have given them for the past week? Well, Pocket Money has got your back! Pocket Money is a simple but useful app that allows you to track your children’s allowances. Add up to four children and input their name, when they should recieve their allowance, and how much they should be given. Then, Pocket Money keeps up with how much your kids have been given and when they last recieved their allowance. Each child’s profile can be customized differently so that their funds can be accounted for accordingly. Pocket Money is great for keeping up with your kid’s allowances. 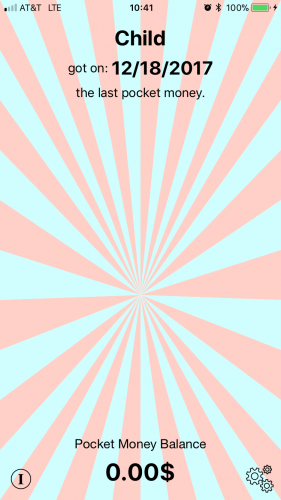 Download it and give it a try! Knights is an interesting puzzle game that will challenge you for hours. The object of the puzzle is to move four knight pieces from one side of the board to the other, but all of the spaces on the board are occupied by other pieces except for one. You must move the other pieces out of the way by using their classic Chess movement restrictions in order to make room for the knights to move across the board to the other side. Knights is a great example of using pre-exsisting mechanics to create an entirely new and fun game! 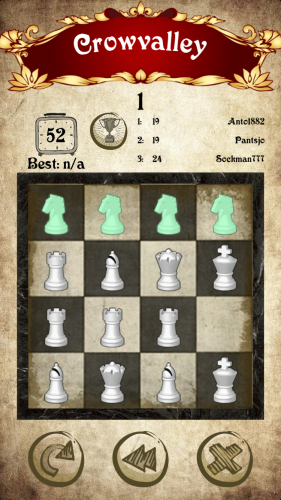 If you like Chess or puzzle games, then you will love Knights. Click or tap on the app store link below to download it. If you are searching for demographic reasons, looking for new friends, or need to do bulk searches for any reason, this app will be helpful to you. FBSearch is an app that lets you perform bulk searches on Facebook. 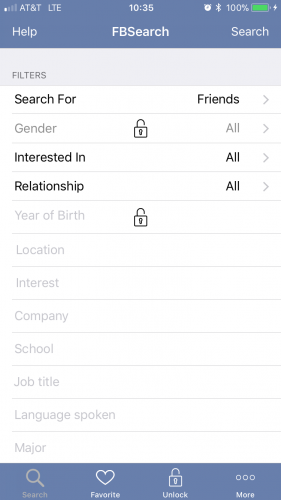 You can tailor your searches through many different parameters such as Gender, Relationship Status, Location, Company, etc. It will display a list of people that match your search parameters and you will be able to view their profiles. You can also add people to your favorites so that you will not forget to contact them in the future! The app is free but has some limitations on search parameters, which you can remove for just 99 cents! FBSearch is an awesome app for anyone that has recently moved to a new place. Download it if you need some help finding friends on Facebook! Many people love posting images of them online to share what they are doing with their friends and family, but there are strangers that might also be able to find your pictures. Thankfully, Face-Off is here to remedy this issue. Face-Off is an app that allows you to select a picture to edit. 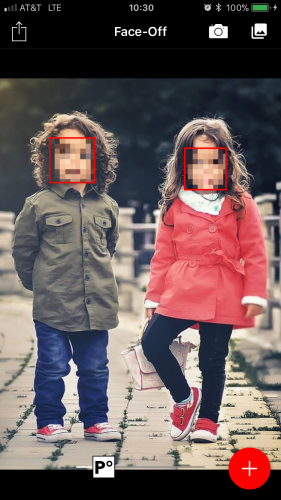 The app will scan the photo for any faces and put a box around them. You can then tap on each face that you want to blur and adjust the blur slider to an amount that you prefer. This feature is great because it allows you to customize which faces you want hidden and which ones you want to be normal. After you are finished editing the photo, you can share it to any social media website with added privacy that can be achieved in just a few seconds. If you are worried about you or your loved one’s faces being shown on the internet, Face-Off is a very simple and easy way to secure your privacy. Download it and try it out! If you are a big sports fan and love to share different strategies that your favorite teams use to crush their opponents, then FanBook is here to help. 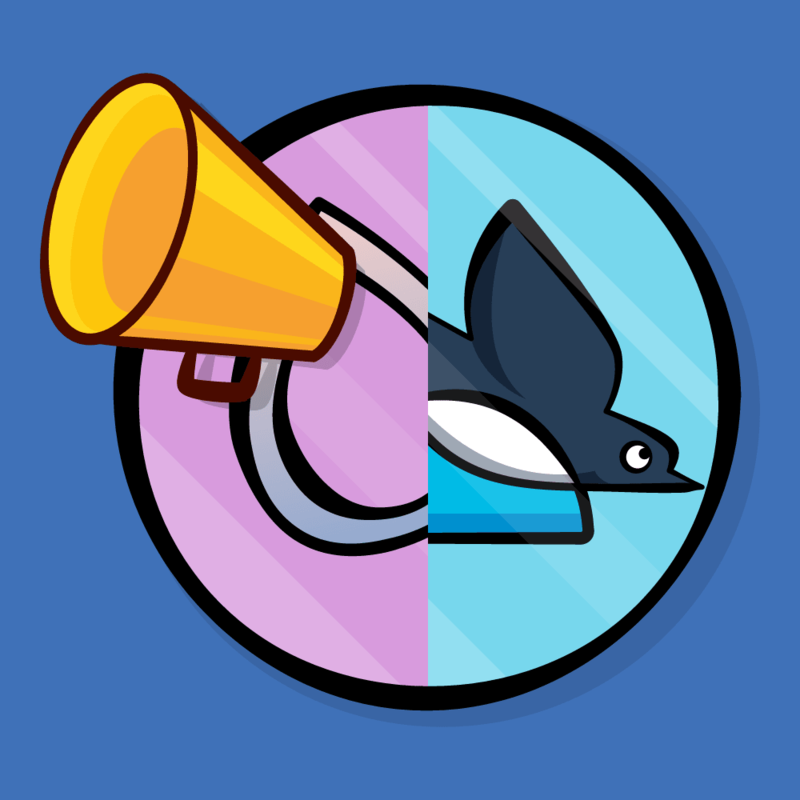 FanBook allows you to create your own playbook and share them with your friends in a simple way. First, create and name your team. You can choose from a team of 5, 7, or 11 players. Second, enter your line-up of players including their name, age, height, weight, etc. Lastly, you can position your players anywhere on the field and draw arrows, as well as other markings, to plan out your strategy. 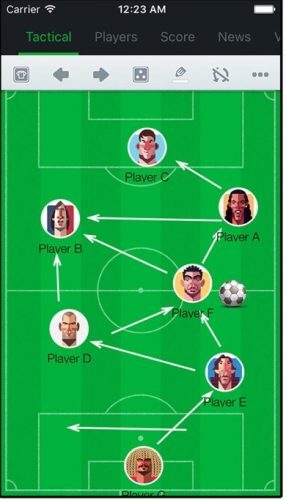 After you are finished creating your Position Diagram, you can share it with your friends in any way you wish. FanBook is a must have for those sports fans who love discussing and sharing team strategies with their friends. 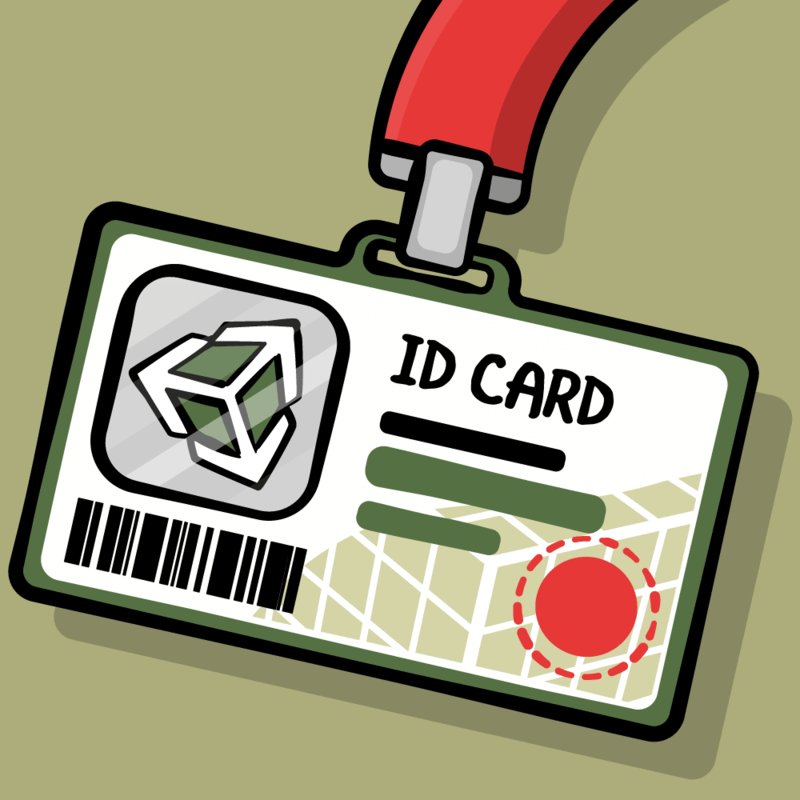 Download it today and give it a try!